It’s apple season at the house of GoG! I have three apple trees, however only one is doing well, the Jonathan apple. The other two (granny smith and cox orange pipin) will be moved from the front yards during winter as they are being starved of water and nutrients from a large tree quite close to them. We planted this tree back in 2007, so it is now seven years old. I have been using organics methods to grow it. That means no pesticide sprays, no artificial fertiliser, and lots of love. I purchased it as a grafted tree from Diggers Club, then planted it about four metres from an ANZAC Peach tree, also on dwarf root-stock. It has grown well in this position next to the small chicken house. It has found lots of moisture from the downpipe that is near it, and fertilizer from chooks. The tree has reached a height of around 3 metres, and a diameter of about 2 metres. During the last few years, I have been shaping it so that it stays like this. 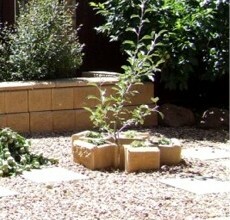 The chickens keep the codling moth away from the base, with their scratching antics, which limits damage via this pest. 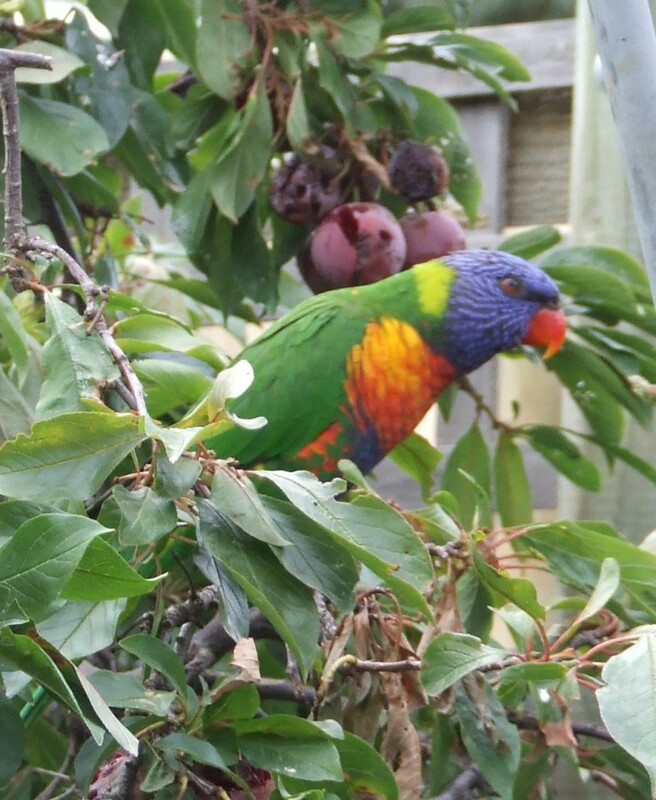 However, the biggest pest are these rainbow lorikeets. They bring all their friends and have a party in the tree during the height of summer, when food is scarce, and when the fruit is still developing. They take bites out of as many of the small green apples as they can, not happy with a single fruit. If you let them, they would eat the entire crop. What we have to do is bag each individual apple to protect it from the birds. 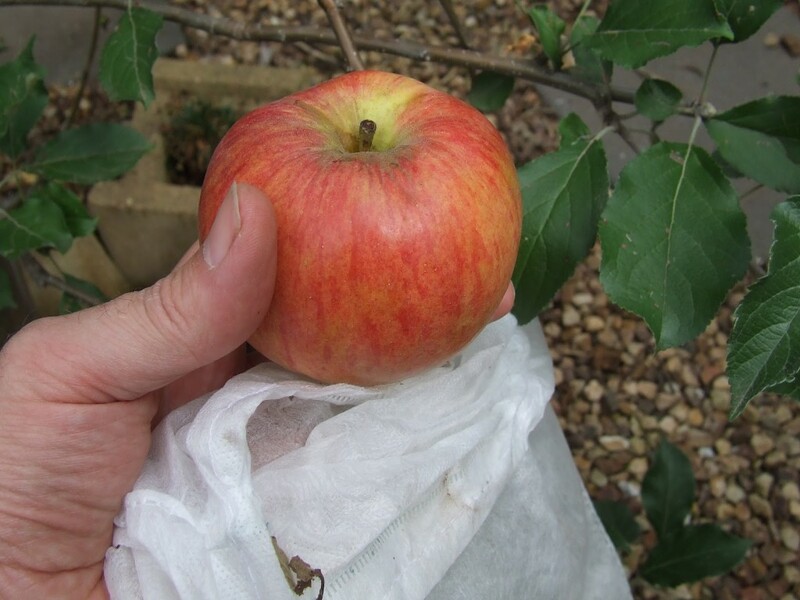 I use simple cloth sacks that you can tie with a bit of cloth around each piece of fruit. You can read about it in this post titled Pest Control for Apples. So what do the apples look like this year? 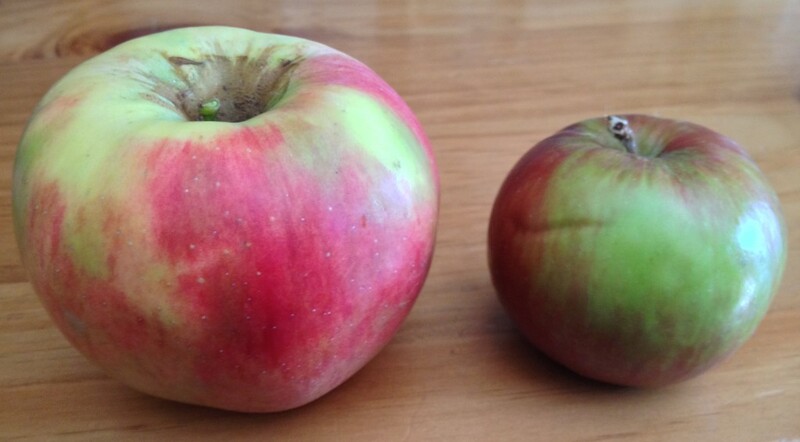 Well, the photo below is a sample fresh off the tree yesterday and compared to a commercially grown Jonathan apple. My apple is the one on the left. Not much of a contest really, is there? They are absolutely massive! We have been eating one a night, sharing it among four people. They are deliciously juicy, and crunchy. Who needs sprayed and waxed piddly little apples, when you can have your very own home-grown Jonathan apples! Do you grow apples where you live, and what sort of success have you had with your crop? This episode was all about soap making at home, and I was lucky to have Kim on the show today as my co-host. We talk about how we got into soap making, the basic process, some early failures and successes, safety suggestions, and some advanced soap making techniques that we use. We have been using our own soap now for over four years, and I even wash my hair with it as well. It is a great moisturising bar that doesn’t tighten your skin after washing. 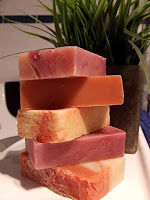 Kim and I love our natural soap, with no added nasties. We always source sustainable ingredients, and only use vegetable oils in our soap. Not only is it good for us, but it is good for the environment. Don’t forget that you can leave a comment if you would like to hear anything in particular or have any questions about soap making at home that you would like answered on the show. You can subscribe to the show via RSS or iTunes or Stitcher. Just use the subscription buttons below. Now if you really like this episode or the podcast in general, then I would really appreciate your help by leaving a review within iTunes or Stitcher. This would draw attention to the podcast and therefore promote the benefits of living a more sustainable lifestyle to many others who otherwise would miss out on the fun! Until next time, stay keen and keep it green. As always, feedback is welcome via comment. I have to convince Kim to appear on the show more often somehow! 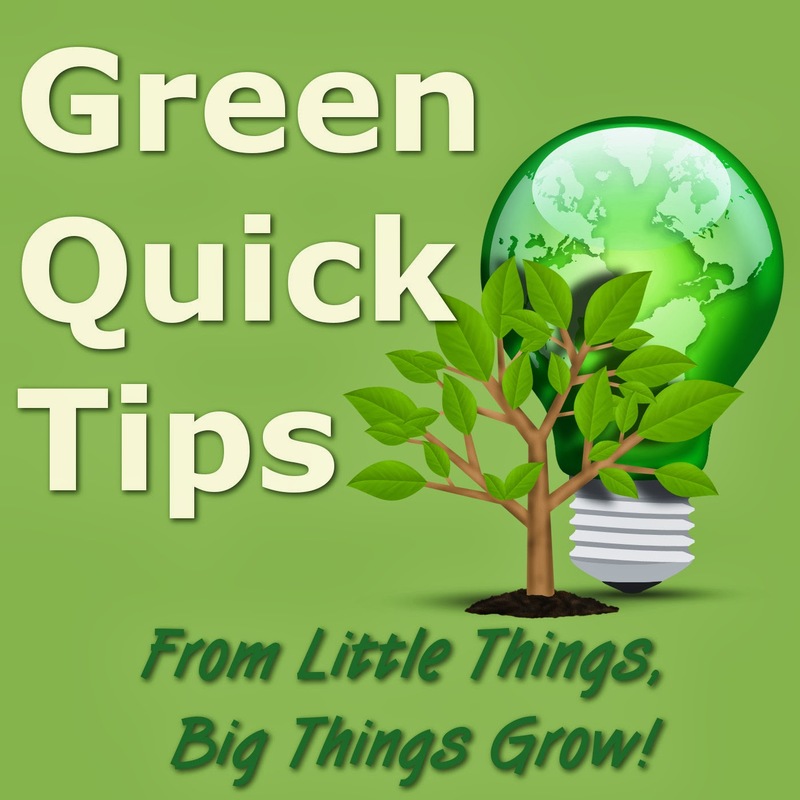 This weeks Green Quick Tips podcast episodes are simple and easy to achieve. Less than 5 minutes long, and easy on the ears! Firstly we have tips about moving around under your own steam, and then two episodes for the newbie food gardener. GQT 18 – Green Quick Tip for Getting on Your Bike. Taking your bike for a spin has many benefits. Not only do you reduce fuel costs, you maintain fitness, reduce the chance of heart disease, and you get to see things you otherwise wouldn’t see in a car. Now here are some tips for some of the easiest and most abundant vegetables that a newbie gardener can grow. I have had such great success with these vegetables, that I plant them all as staples every season. GQT 19 – Green Quick Tips for Garlic, Silverbeet, and radishes. Tips for the newbie food gardener to help your get growing delicious fare in no time. GQT 20 – Green Quick Tips for Pumpkins, Zucchini, and Beans. Tips for the newbie food gardener to help your get growing delicious fare in no time. So there you have it. 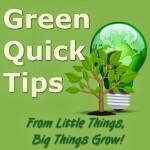 Another exciting week of Green Quick Tips. If you enjoyed the episode, please feel free to leave a comment, or leave a question that you think others would benefit from and I will include the topic in a future episode. I love answering your questions, so don’t be shy. Oh, and there is no such thing as a dumb question. We all have various skill levels, so who better to ask than someone with experience and who gives freely. If you want to subscribe to this podcast in your podcatcher, you can use the native RSS feed. Alternatively, you can now subscribe using the buttons below if you use these services. Let me know if you are enjoying this podcast series. I enjoy producing them, so if you like them, I will keep going with more green quick tips each week.